This sweet pup won over my family’s heart during a time when we really needed him. We had lost our first family dog earlier in the year and her presence was greatly missed. Our old gal was a mutt with one blue eye and one brown. Just like Hank. When we came across this guy’s mug on an adoption site, we knew it was meant to be. Hank recently turned one, and just like the rest of the family, his birthday gets celebrated. Properly - with birthday cake, presents, and lots of love. I scored all of the supplies for his birthday ‘party’ while at Harris Teeter. 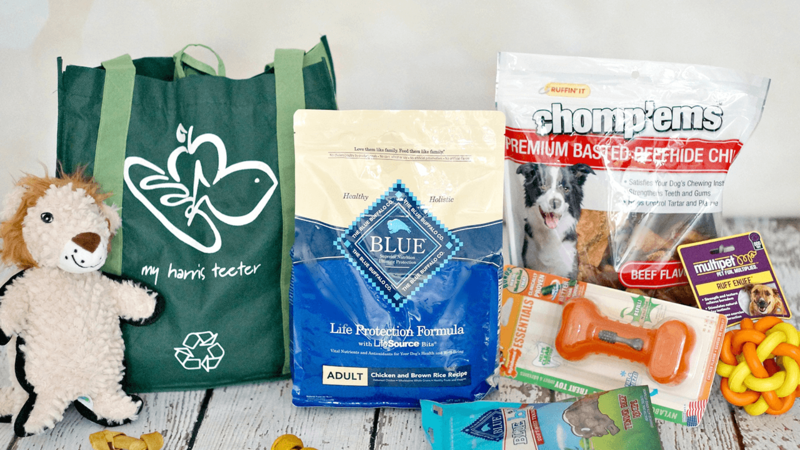 With an expanded pet selection, I found everything I needed - including Blue Buffalo dog food. Harris Teeter is one of the few retailers approved to carry it! 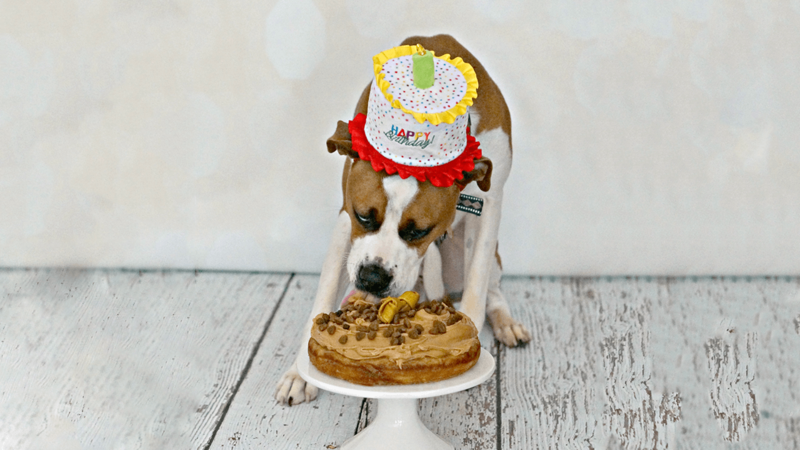 Being able to shop for my pup’s birthday (and everyday) food and treats, means less errand-running for me. And, when I order my groceries via Harris Teeter’s ExpressLane, it means I don’t have to lug around the huge bags of dog food while I’m shopping. WIN! Preheat the oven to 350°F. Mix together all of the ingredients until smooth, then pour into an 8” greased springform pan. Bake for 35 minutes, or until a toothpick inserted in the center comes out clean. Allow to cool completely, then release from the pan. 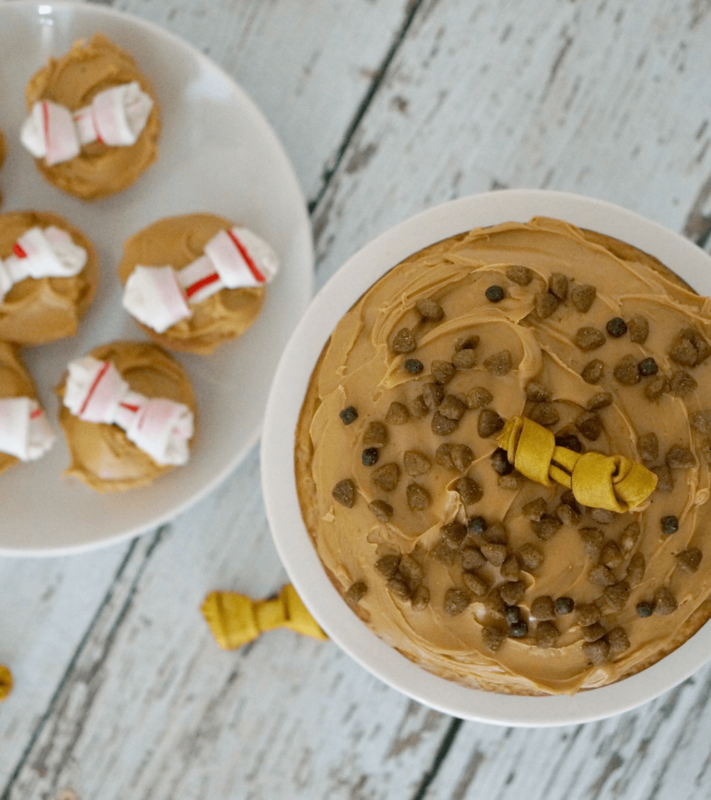 Frost the cake with peanut butter and sprinkle with dog food. Top it off with your pup’s favorite dog bone.